I don’t like to gloat with half the country facing deadly cold, but a reader’s query prompted my commenting on our weather. Southern California has been in the 80’s for weeks now, and not a drop of rain in sight. We haven’t had the heater on in quite a while, and you can leave for work without a coat. 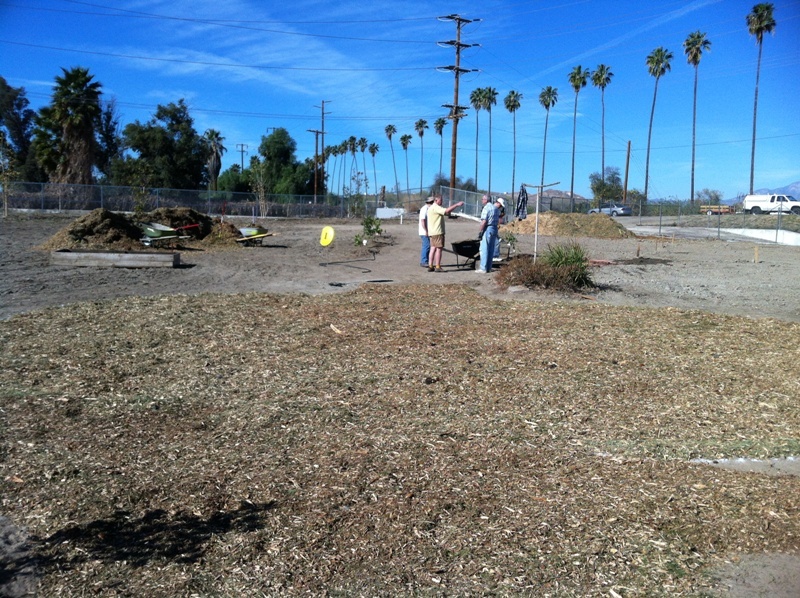 Last Saturday we had a workday at the community garden, and if you didn’t have sunscreen on, you got burnt. So how does this all affect the apples? Not a bit. This weather is actually not that uncommon for us, as it can hit 80 degrees any day of the year, and often does for weeks at a stretch in the winter months. Up in the mountains it can wreck havoc, as many apple trees are at silver-tip stage right now, and could possibly blossom months early and then get killed by a spring freeze. But down here in the valley they blossom and fruit pretty much like they always do, whether it’s cold or hot. A friend of mine speculated that it has more to do with day length than weather, but in any case the trees figure out what to do and carry on. Fruiting seems to have much more to do with how the tree is trained, rather than how many chill hours we receive.